Experiential events to check out this weekend include London Fashion Week, Goose Island's Block Party, The Philharmonia Orchestra VR experience and South African Tourism's #FindYourWild pop-up. Watch catwalk shows, shop the best designer collections and listen to industry professionals at London Fashion Weekend. Enjoy a pampering session courtesy of Maybelline New York and Toni & Guy, and shop for sunglasses at Sunglass Hut. H&M Home are sponsoring the Luxe Lounge this year, which will provide a calming area for guests to relax in-between shows. 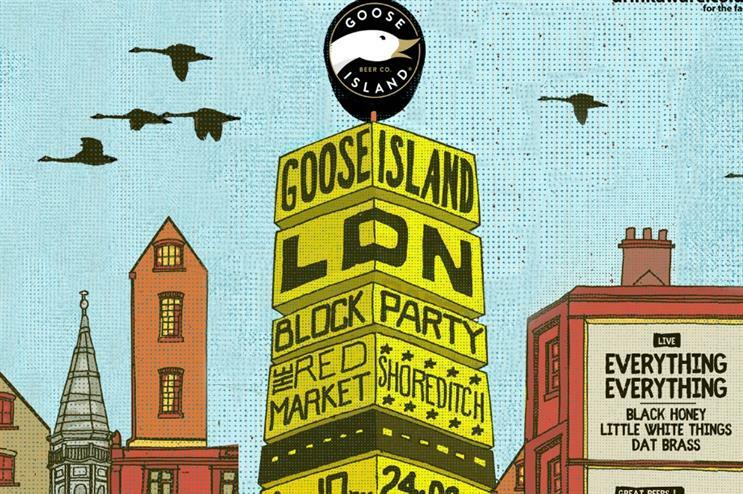 This weekend US craft beer brand Goose Island is hosting the inaugural London leg of its Block Party – a one-day neighbourhood knees-up that has been held in Chicago for the last five years. Expect live bands, Goose beers, food and games. Food will be provided by Club Mexicana, Howards Meat Co, Little Ghost Black Bagels, South East Cakery and Sutton & Sons. Earlier this year, Goose Island hosted its first London-based 312 Day party at Hoxton Docks, which included a performance from the Mystery Jets. South African Tourism's #FindYourWild pop-up experience will feature a series of experiential crates, each dedicated to a different type of adventure in South Africa. Using 360-degree virtual reality technology, visitors can opt to go virtual shark diving, rock climbing and spot penguins at Boulders Beach, as well as sample South African street food and live DJ music.